Rayjon Tucker from Little Rock, averaged 20 ppg and nearly 7 rpg while shooting 40% from 3. Didn't play on a good team, but those are very impressive numbers and there would figure to be a lot of interest from good programs. I don't think you understand. Taking on a role player GT is preferred to a role player-type frosh, because the risk is so minimal. Anthony wasn't the most talented, but since he was a GT, we were able to bring in someone with his scholarship immediately. So in this case, a class of 2020 guy. Yes, but we desperately need a big who can play a strong 25/30 minutes, not the 10 Anthony gave SLU. The only proven big we have is French. Love the Bell commit, but can we count on him for big minutes? Would be great, but not likely. The success of the team and Isabell in particular should be helpful on the GT front. At least, that’s what I’m hoping. Barret Benson is transferring from Northwestern. He's a 6'10 240 lb backup center who averaged 10 minutes a game. Was stuck behind Derek Pardon for 3 years, who earned all-conference honorable mention this year. The Northwestern board is in shock. They were projecting him as a 20 minute a game player his senior year. We've got minutes available and there a very few A-10 players who have Benson's combination of size and mobility. He'd be a very good fit, IMO. Barret Benson is transferring from Northwestern. He's a 6'10 240 lb backup center who averaged 10 minutes a game. Was stuck behind Derek Pardon for 3 years, who earned all-conference honors this year. The Northwestern board is in shock. They were projecting him as a 20 minute a game player his senior year. Dont think we need another 56% free throw shooter. Centers aren't normally good free throw shooters. If you can get good free throw shooting in addition to post scoring and rebounding that's a bonus. I get that, but with French and Goodwin shooting under 60, a third starter under 60 means we face packed in zones every game again next season. We already have the inside scoring and rebounding, a stretch big would help open things up. Ironically a Welmer would be the ideal fit. Aaron Falzon a 6'8 stretch 4 from Northwestern wouldn't be a bad option, 31.7% 3pt shooter. Another would be Haanif Cheatham from Florida Gulf Coast, former 4 star recruit SG/SF who scored 13 ppg last season. Both eligible immediately. Collins and Jacobs will be be going up against Goodwin and Thatch every day in practice. Hard to offer a tougher challenge than that. Coach Ford said when we signed Thatch that he sees him as a combo guard. He was used primarily a defensive stopper this year but I think you'll see him handle the ball more next year. It all comes down to Jacobs. Believe most are pleased with the accomplishments of Yuri in high school and want to allow him some playing time next year to show what he can do and properly develop. Most are pleased with Goodwin though acknowledge he/we could use some help at PG and/or handling the ball. Most are hopeful that Thatch will succeed at any new role handling the ball and shooting from the perimeter. But most of us are still unsure about what Jacobs can do and not do. We don't see what does good/bad in practice and his playing minutes have been few and far between his injuries. If we knew more what he can do or not do, we would be more sure about whether or not a GT guard is a smart thing or not. Looks like there are already a lot of potentially useful players available. I’m optimistic that Ford will find the right guys to fill out our roster. If you count Santos (I do) we have gotten at least 1 impact transfer commitment every year Ford has been here. I expect this offseason to be no exception. Excited to see which transfer(s) we get this go round. Agreed. Worth looking into. There is a starting role and around 20 mpg available for a big next year. Also, the entire Valpo team appears to be leaving. Bakari Evelyn, started his career at Nebraska, then had two productive seasons at Valpo. Grad transfer who could be a solid combo guard coming off the bench. A very intriguing traditional transfer - freshman Javon Freeman from Chicago was one of the top freshmen in the MVC. The article announcing his transfer mentions that he had offers from VCU and SLU coming out of high school, so Ford and staff are already very familiar with him. Grad transfer Shakur Juiston leaving UNLV - averaged 10 ppg and nearly 9 rpg, so he'll be in demand. From the East Coast. 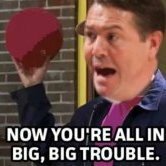 Almost the entire UMKC team is leaving for what it is worth and the attrition continues at UMass with more player defections - they seem to be a dumpster fire right now. In looking at players who recruited who could have a coaching change, one name that caught my eye is Thomas Allen at Nebraska. Good shooter and it wouldn’t surprise me if the Huskers were to move on from Tim Miles. Brandon McKissic from UMKC is a local kid who had a solid season but I’m not sure if he would get minutes at SLU or not. SLU was a finalist for Allen in his original recruitment, although he was a solid NC State lean all along. He signed with NC State and then got a release after the coaching change there, and signed with Nebraska. Nebraska also has Karrington Davis, who was at Chaminade through his junior year before transferring to Montverde for his senior season. He ended up at Nebraska and blew out his knee in a preseason practice. Not that I think SF is an area of need for us at the moment, but interesting to note.